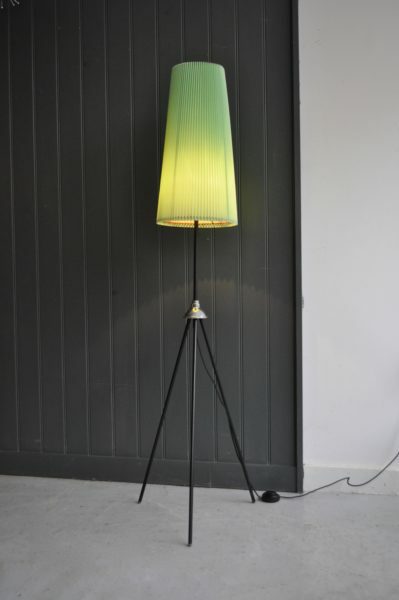 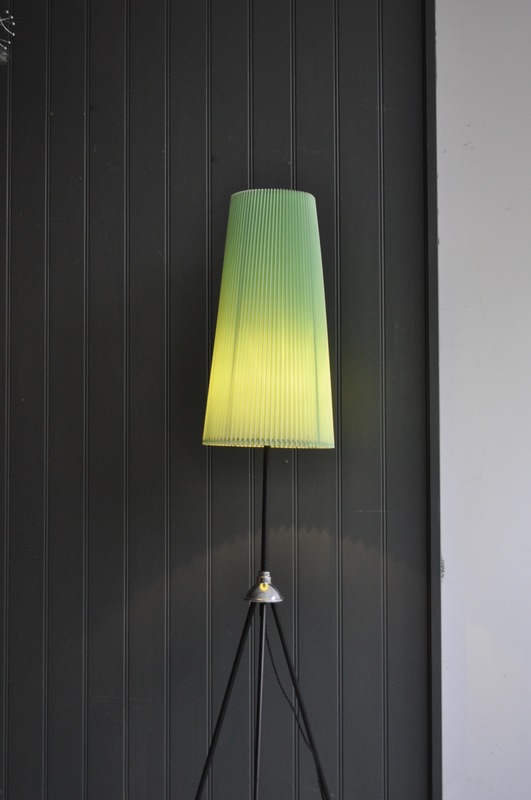 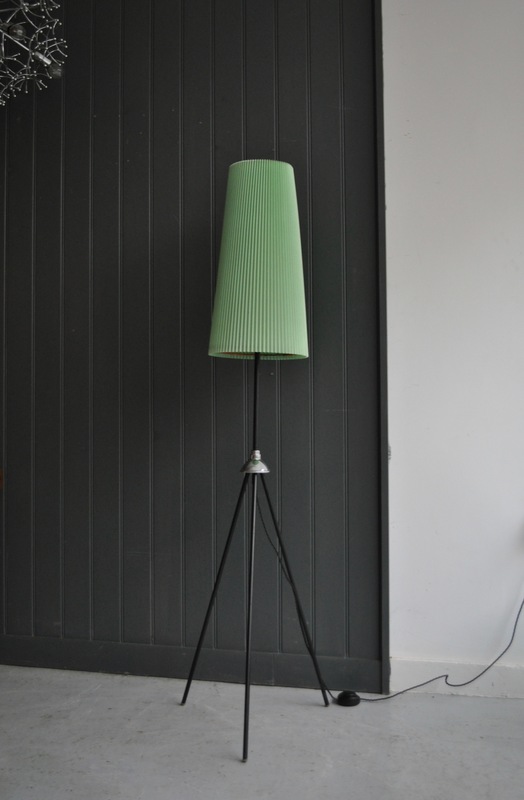 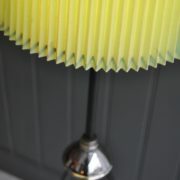 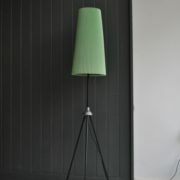 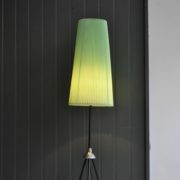 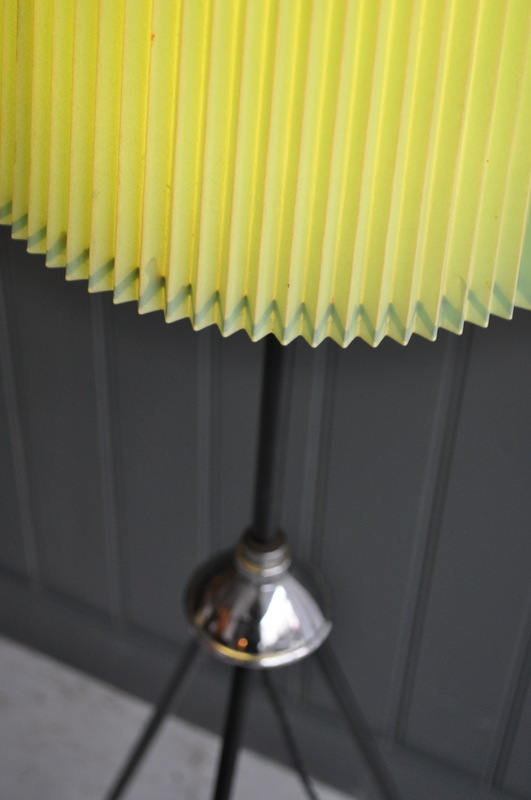 Continental ‘rocket’ floor lamp, with a lovely simple rod tripod base in original black paint, and a striking pleated green shade. 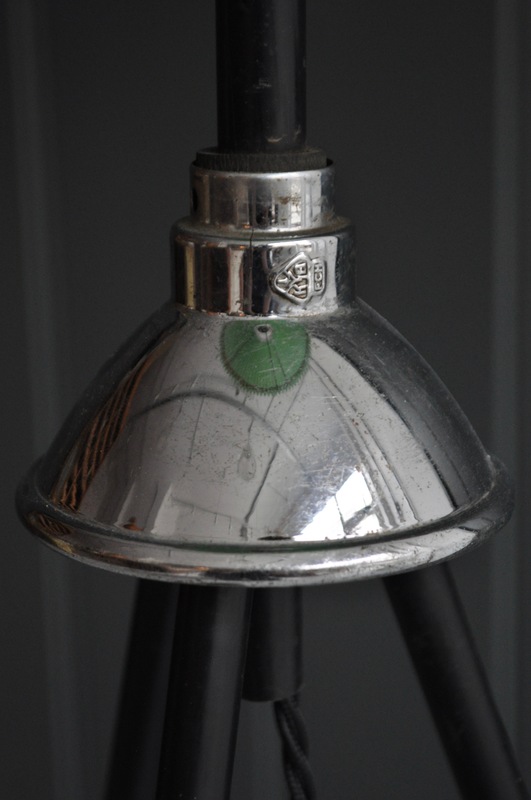 There is a chrome cap to the junction, and the lamp is newly rewired with black braided flex, an in-line foot switch, and black plug. 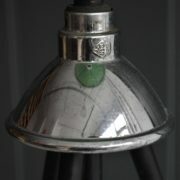 Accepts standard ES bulbs.